To properly review Ooma, you have to consider the two levels of service. I got a one year subscription to Premier to get the free wireless dongle. The wireless hardware is perfect. I can plug my phone in anywhere, and get crystal clear audio in my calls. It frees the phone from being stuck next to the router, and they may be the only residential provider that lets you do that.The actual premier service has a number of features that I could take or leave, like caller ID with name, and the instant second line. I don’t need a second line, and Ooma lets you add numbers to your contact list. What I was most curious about was the black list and the ability to subscribe to do-not-call lists. It turned out that I get no more or fewer unwanted calls. So, I expected to have a year of blessed silence, and I ended up paying much more attention to unwanted calls than if I had simply ignored them and forgotten about it.As a basic service, Ooma simply cannot be outdone. I pay only taxes, which is less than $4 per month. Compared to paying $30 for cable company VoIP, or even more for traditional service, I’m saving money every day. As a long-term investment, the longer I own it, the happier I am.Finally, as a note to anyone who thinks that VoIP may be unreliable, I ask you–do you use a 1980’s phone with a long curly cable? If you’re anything like me, you use a wireless phone. If the power goes out, you wouldn’t be able to use your phone anyway. 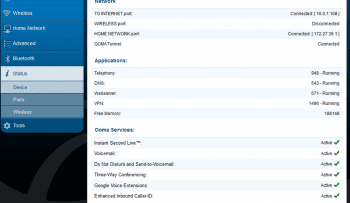 Ooma also has failover, so if your internet is out, the call just rings your cell phone. It’s more reliable than other phone options. Pros: Unbeatable value over the long term. Cons: Premier service did not block any telemarketers. Ooma provided outstanding service and support when I got started with there home phone services. Call quality is clear and service is very reliable with many features. Setup and installation was the easiest part because support provided clear and understanding instructions unlike my previous provider. Founded in 2004, Ooma remains one of the most recognizable VoIP providers. As a medium sized company with 100 employees, Ooma has its roots in residential VoIP services. Their unique service for home users allows consumers to purchase an Ooma device up front and avoid any monthly service fees. The provider has since expanded into the enterprise market, offering Ooma Office, an easy to adopt and inexpensive solution for small business owner’s looking to transition their communications to VoIP. With a more traditional monthly service fee of $19.98 and an extra $9 per added line, Ooma Office offers an easy way for small businesses to adopt a VoIP solution with the flexibility to grow with business needs. While remaining less expensive than competitor’s, Ooma Office also includes features you would find included with more expensive provider’s such as a virtual receptionist. An easy to use and powerful management web portal lets you customize the service including hold music, greetings and menus, and even a mobile app for your iPhone or Android device. Customer service is provided by phone support during business hours, or 24/7 live chat on Ooma’s website. Call times are short and responses prompt, but with multiple representatives providing different information, the service left a bit more to be desired. Anyone new to VoIP, searching for an easy to use and setup solution for their small business would want to strongly consider Ooma as their introduction. Ooma offers their Office Phone System at an initial cost of $200, a monthly subscription of $19.98 for one phone line and number, and an additional $9.99 per any additional lines. Phone system includes a small base station that connects to your Internet broadband and directs calls to phones. The package also includes two Linx devices, used to wireless sync phones to the base station for additional lines. Additional Linx devices will need to be purchased when adding more lines. The service comes with a Ooma Office Manager to access, configure and tailor the phone service to your business needs. From this easy to use web page you can change the Virtual Receptionist greeting, even change the voice, configure extensions and a call guide for users to navigate departments. The layout is intuitive and includes detailed descriptions of each option and setting. Unlimited calling in U.S. and Canada after the initial monthly fees. 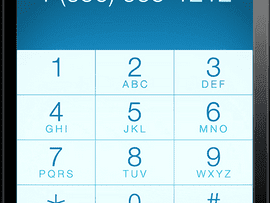 A Caller-ID function to display phone number and names of incoming calls. The Office service is compatible with and utilizes E911 services to access relevant information when an emergency call is made. Ooma Office provides small businesses with an accessible and inexpensive introduction to VoIP solutions. Omma offers great call quality, incredibly simple setup, easy to use management tools to customize the service, and a monthly fee of $9.99 per extra line to manage and grow based on your needs. The price can add up quickly based on the size and growth of your business, and included features are a good start. However, larger businesses might want to consider other provider that offer higher volume with additional features that expand beyond the Ooma office’s offerings. What Do You Think of Ooma?